A litigator since 1978 and a neutral for more than 10 years, Marc E. Rohatiner has successively mediated and effectively arbitrated many disputes, ranging from those involving complex legal issues with multiple parties to cases driven more by emotions that need to be carefully addressed during the course of the proceedings. The subject matter of the cases has been as varied as his own litigation practice. Mr. Rohatiner is well regarded for his exceptional people skills and his ability to develop creative solutions to problems. Lectures: Title Company Forum - "Arbitration of Title Policy Disputes;" Los Angeles County Bar Association, Title Insurance Subsection "The Impact of Summit Financial Holdings and Other Related Escrow Issues - Is the Case Law Consistent?" Bad faith/insurance coverage, business/ contractual, construction, employment, entertainment, lender liability, professional liability, securities and real estate. 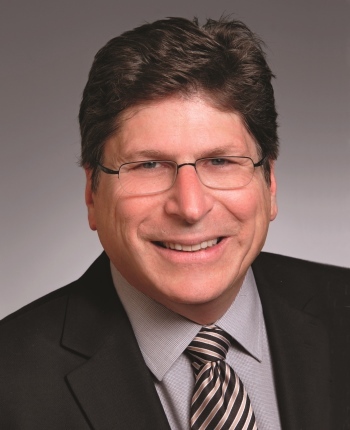 Mr. Rohatiner is the senior litigation partner at Wolf, Rifkin, Shapiro, Schulman & Rabkin, LLP. For nearly four decades, he has handled a wide variety of general business litigation, with an emphasis on real estate, construction, broker, escrow, title company and common interest development disputes. He has successfully briefed and argued numerous published appellate decisions. As a mediator, Mr. Rohatiner employs a combination of facilitative and evaluative styles. He recognizes the importance of allowing the mediation process itself to help the parties achieve a resolution. By the same token, he believes that an experienced litigator can evaluate the strengths and weaknesses of a case and move the parties closer to settlement. Mr. Rohatiner is mindful of the fact that when it comes to arbitration, the parties bargained for a procedure intended to be more efficient than a trial without sacrificing the quality of the decision. As an arbitrator, he suggests and is open to procedures not necessarily available in court that provide a more efficient means of trying the case - where appropriate and subject to the agreement of the parties. Mr. Rohatiner is available throughout California and Nevada.